THEN MAKE SURE YOU WON'T MISS IT! Our beautiful Jewish art calendar will soon be printed and mailed to thousands of homes and business in our area, free of charge. We need your help to make this happen! What makes this calendar truly unique, however, is that it's not just an ordinary, Jewish calendar. This is our calendar. It not only includes the holidays, festivals and candle lighting times but also dates that are special to our community. It includes birthdays of our loved ones, friends and colleagues, as well as yahrtzeit dates and other significant dates that are so meaningful to us. In addition, we're offering the option to include the important dates of your family calendar - b irthdays, anniversaries and yartzeits. Each will appear on the actual date of occurrence in our calendar for a donation of $18.00 per date. Special 10 for $100. I hope I can count on your participation this year! Deadline for submissions is August 1, 2018. Advertising with us will serves as a benefit to you while simultaneously assisting Chabad of Yonkers as we continue serving the community’s vital educational and social service needs. 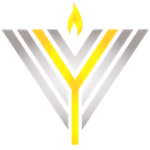 If you have any further questions, please don’t hesitate to call us at (914)963-8888 , or email: Rabbi@JewishYonkers.com. Calendar Covers 10" x 7.5"
I would like to be included on the New Years Greeting Page - $36 each.